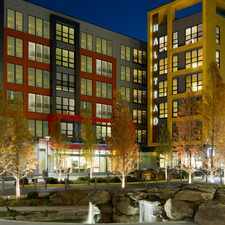 The rent at The Reserve At Tysons Corner Apartments ranges from $1,900 for a one bedroom to a $2,545 two bedroom. Apartments in this building are about as expensive as the Old Courthouse average. This is a pet-friendly apartment. This apartment is in the Old Courthouse neighborhood in Tysons Corner. Nearby parks include Scotts Run Stream Valley Park, Pimmit View Park and Idylwood Park. 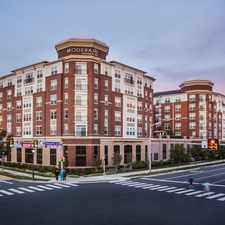 The Reserve At Tysons Corner Apartments has a Walk Score of 42 out of 100. This location is a Car-Dependent neighborhood so most errands require a car. The Reserve at Tysons Corner offers one- and two-bedroom apartment homes that feature large floor plans with upgraded appliances including gas stove, open kitchen and wood flooring. Indulge in a stylish residence featuring designer interiors, spa-inspired baths, unsurpassed amenities and a world class location - only minutes to shopping, 20 minutes to DC and a free shuttle to the Dunn Loring metro. 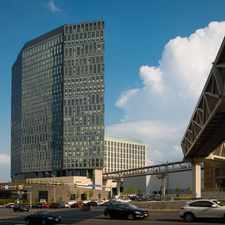 Looking for a home for sale in Tysons Corner? Explore how far you can travel by car, bus, bike and foot from The Reserve At Tysons Corner Apartments. The Reserve At Tysons Corner Apartments has some transit which means a few nearby public transportation options. Car sharing is available from RelayRides. The Reserve At Tysons Corner Apartments is in the Old Courthouse neighborhood. Old Courthouse is the 2nd most walkable neighborhood in Tysons Corner with a neighborhood Walk Score of 51.